TRAMES Unique - Lotrič d.o.o. The TRAMES measuring systems is adapted to your requirements for faster and more accurate measurement of a wide range of products. It allows length measurements of pipes, profiles, strips, cables. For a wide range of materials: rubber, wood, steel, various metals, textiles, plastics. Unique concept of the machine that enables the measuring of dimensions of products in 1D, 2D or 3D space.We will adapt automation to your wishes, and offer the most diverse system upgrades. The construction part is fully adapted to the spectrum of products or test pieces, with the possibility of subsequent upgrade and further processing. We will also gladly listen to your other wishes and demands. The measuring system, type of sensors and electronics are set to solve simple and complex metrology problems. The software is adaptable to the selected measuring principle. Mechanical measurement with adapted probe or camera for reading edges. Different levels of automation of the movement of the measuring head in relation to precise, intended-purpose guides. A variety of measuring principles can be used for different measuring axes. * This is an optical measuring system which enables precise measurements in 1D or 2D space thanks to a camera and state-of-the art optics. It has the ability to detect different shapes and measure geometrical tolerances by means of linear magnetic or glass encoders. TRAMES Unique measuring machines can also be upgraded with systems for measuring other physical quantities. Mass weighing, where the measurement platform functions as a scale. Scanning 2D or 3D areas, by means of which you can find errors, and measure the deviation of edges and burrs. Other physical quantities according to your wishes and demands. The TRAMES Unique system can also be upgraded with the EXACTUM system – a smart system for automatic control, which improves your work process. Measuring capacity is the most important part of the development of the system, which is also reflected in the amount of investment in system engineering. That is why the measuring capacity of your system is adapted from the aspects of accuracy, repeatability, precision as well as from the aspect of measuring range. By choosing the appropriate measuring equipment, we will ensure the appropriate measuring capacity with regard to measured products and their tolerance ranges. The range of capacity fully depends on the measuring principle. The measuring range is from a few mm to several metres per individual measuring axis. Accuracy ranges from 0.001 mm to 0.5 mm. All TRAMES Unique measuring systems, LOTRIČ Metrology brand, are calibrated prior to use, which is attested to by the calibration certificate. By performing technical inspections and calibrations, our service also extends to maintaining the machine during operation. 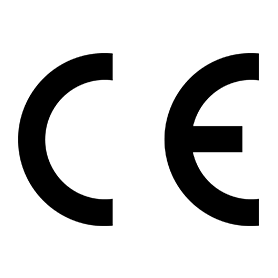 This is in compliance with the inclusive New Approach European directives and standards, certified by the EU Declaration on Conformity and the CE marking. Get to know us and read all about our way to excellence. Do you want to join our story of success?